Three of the six teams earnt themselves a bullet during day one and Team TC, skippered by Alan Field and Scot Tempestas’, Baba Booey, ended the day tied on points in first place. 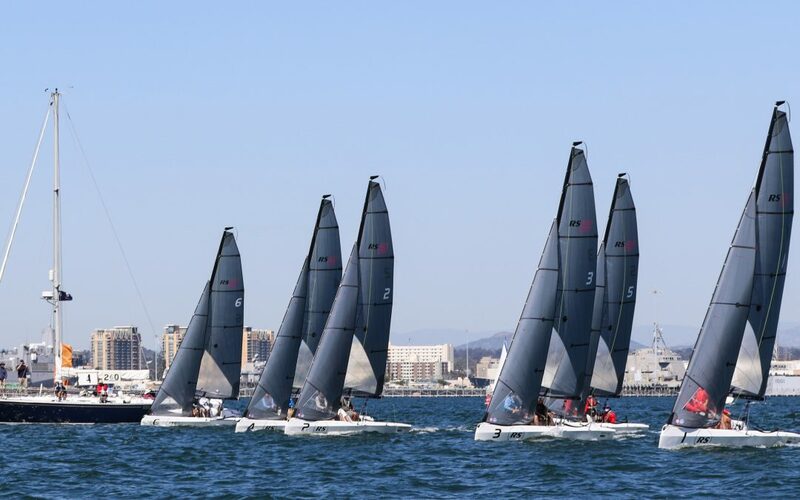 The San Diego Yacht Club Helly Hansen Junior team trailed in third place by just one point. RS Sailing would like to send a massive thank you to; Coronado Yacht Club for their assistance throughout the event, RaceGeek for providing every boat with electronics and data analysis software, Spinlock for providing the fleet with life jackets and of course Sail22, who simply are incredible. What has been learnt over the last few days? Firstly, the NOOD events are great! Secondly, it is possible to rig and de-rig the “6 pack” in a day. Thirdly, great sailing events can be simple! All you need to do is to bring your kit bag, rock up and race. The next stop for the “6 pack” is Charleston Race Week and then it’s onto the rest of the NOOD Regattas. There are a couple of charter boats still available, so it is not too late to get involved. Please click here to visit the RS Sailing website.